The 8th Annual Cloth Baby Doll Challenge! 2016 Cloth Baby Doll and Child Doll Challenges! Baby Challenge Prize - Girl Doll and Child Challenge Prize - Boy Doll! 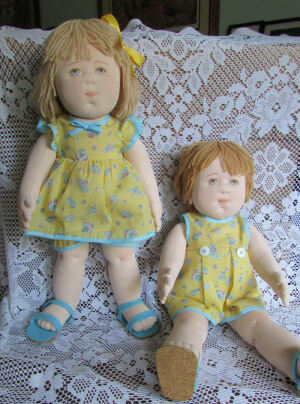 For More Picture and Informaton on These Original Dolls Go To the Cloth Doll Market - Click HERE!